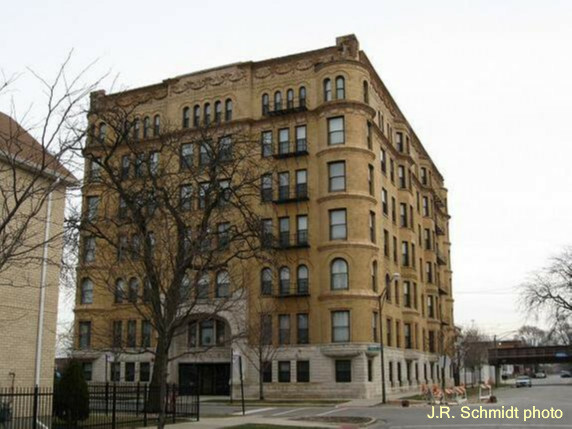 Chicago Landmark: The Yale Apartments--6565 S. Yale Ave.
South Side Masonic Temple--6400 S. Green St.
Englewood is a mini-Detroit. Well into the second half of the 20th century, the area centered around 63rd and Halsted was dynamic and prosperous. In more recent times, the community has struggled to overcome a host of urban problems. The history of Englewood begins in the 1850s, with the coming of the railroads. Two lines crossed near what is now 63rd and Wentworth. A settlement called Junction Grove took root near the railroad junction. Some years later, a local real estate developer popularized the name Englewood–after his home town of Englewood, New Jersey. Most of the early settlers here were German and Irish. Railroad workers lived near the junction, and truck farmers occupied the land to the west. When the Stock Yards opened a few miles up Halsted, many of the people employed there also found homes in Englewood. From 1865 to 1889, the area was part of the Town of Lake. The Cook County Normal School and the first Englewood High School were built during these years. 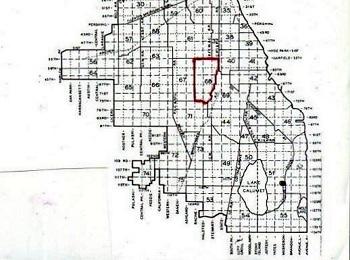 Then, in 1889, the City of Chicago annexed Englewood. Now the community took off. Brick two-flats and apartment buildings joined the older wooden cottages. Banks, schools, hospitals, churches, and other institutions of modern civilization were established. The city streetcar system was extended into the area, and in 1907 Englewood got its own "L" branch. The population passed 90,000 and kept going. The focus of the community was 63rd and Halsted. With three major department stores and hundreds of smaller businesses, this became the busiest shopping district outside the Loop. More than that–it was the busiest outlying shopping district in the world. For decades the stores here rang up more sales than many medium-size cities. Englewood came through the Great Depression and World War II in reasonably good shape. The real challenges developed in the years after 1950. Now more people were driving cars. The general movement was away from the neighborhoods of the inner city. 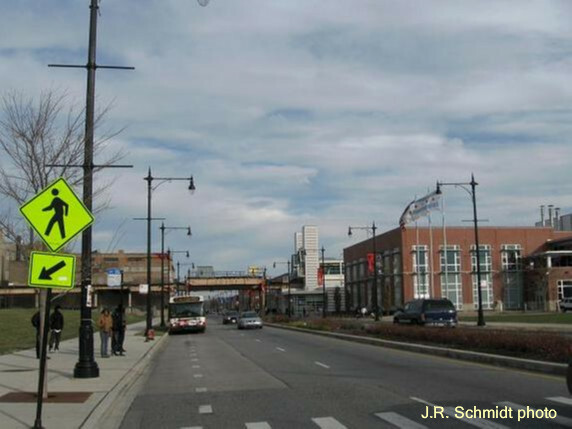 Shopping malls began drawing traffic away from 63rd-Halsted. The marginal stores closed, and many of the better ones left. The fabulous Southtown Theater, with its duck pond in the lobby, was a major casualty–it was converted into a discount store. Meanwhile, expressway construction and urban renewal in other parts of the city displaced many African-Americans. Some of these families settled in Englewood. Panic-peddling and white flight followed. In 1950, blacks were 11 percent of the local population. That number increased to 69 percent in 1960, and 96 percent ten years later. 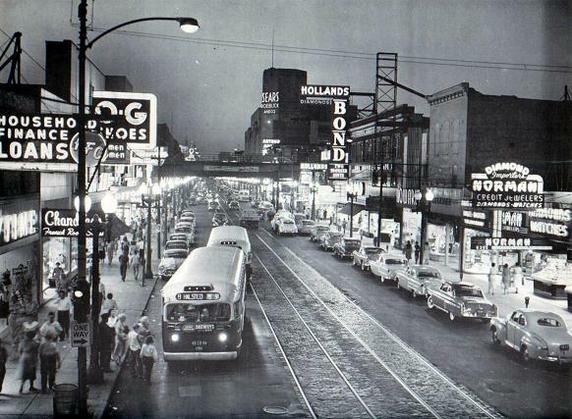 During the 1970s, the city made a concerted effort to revive the 63rd-Halsted shopping center. Traffic was diverted away from the intersection, and the two key streets became bus-only malls. The experiment failed. The last two anchors, Sears and Wieboldt’s, eventually pulled out. Englewood continued going downhill. The crime rate became one of the highest in the country. More major institutions left. Homes were abandoned or torched, leaving whole blocks empty. By 2000 the population had dwindled to just 40,000. Englewood was looking a lot like–well, a lot like Detroit. And yet, the community has not given up. Much of the southern section remains stable. Here and there, some houses have been built. In 2007 a new campus for Kennedy-King College opened at 63rd-Halsted. There’s hope the college will revive what’s left of the shopping district. 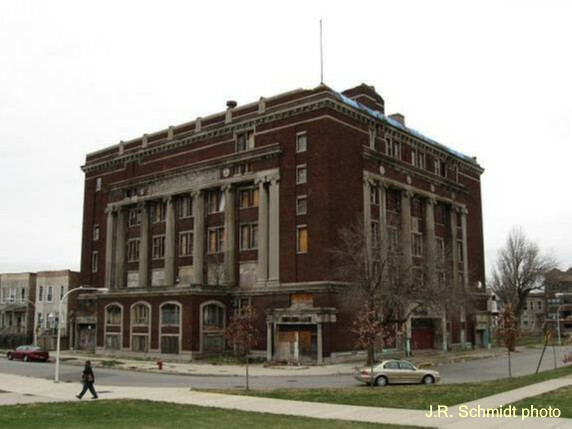 If a single building symbolizes Englewood, that would be the South Side Masonic Temple, at 64th and Green. It has been abandoned for years, and several attempts at adaptive re-use have failed. Its future is uncertain. Yet even with broken windows and falling bricks, the temple is an impressive reminder of past glory. Will it be brought back to life? 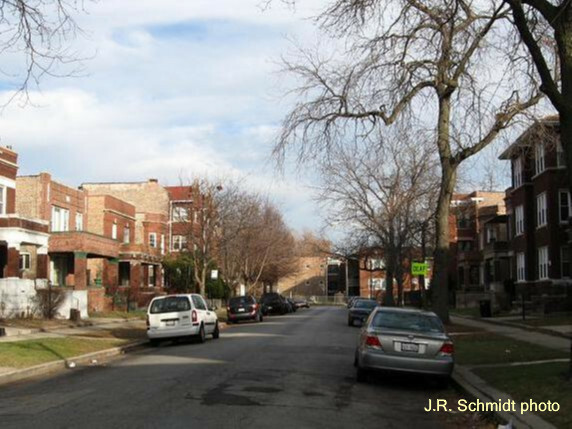 Will Englewood be brought back to life?